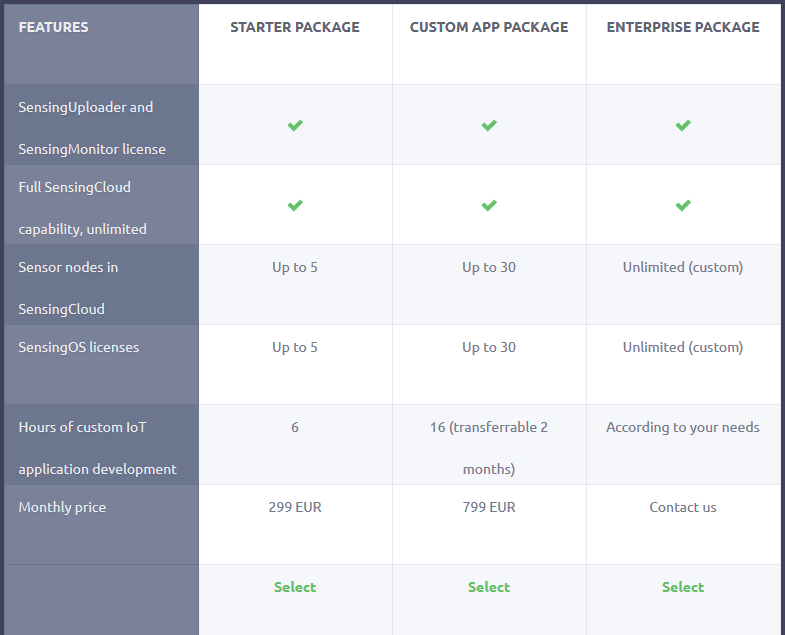 Starter, Custom App, and Enterprise. 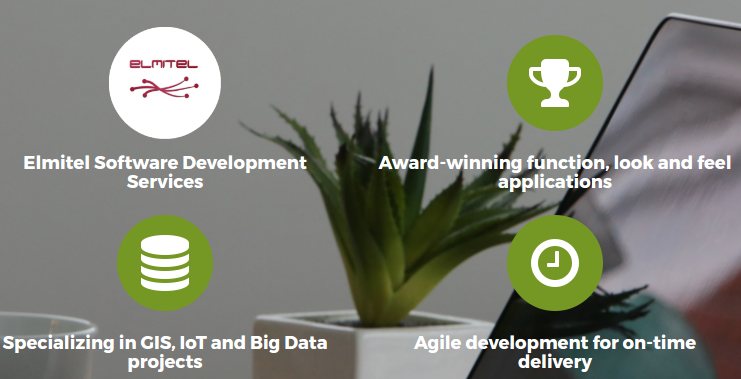 While Starter and Custom App packages offer continuous development of IoT applications for IoT installations for Corporate Innovation Centers, Startups and Companies, the Enterprise package offers a fully tailored development plan for your thought-out IoT application. In all cases, you get an IoT based custom application which is evolving through time and which you can use in your organization or resell to the customers. Based on Elmitel Sensing Cloud platform, you can be sure that the application is scalable, fast, reliable and good looking. All of the custom development work is done by an experienced Elmitel Development team. If interested, please register here and we will get back to you in 1 working day.